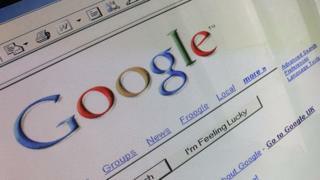 One in 10 requests for web links to be removed from search results under European "right to be forgotten" laws have come from the UK, Google has said. Google said it had removed 498,737 links from search results since May this year - including 63,616 pages following requests from the UK. It said 18,304 requests were made in the UK, the third highest in the EU. It follows a European Court of Justice ruling that links to irrelevant and outdated data can be erased on request. The ruling sparked criticisms over censorship of material. According to data released on its website, Google removed 35% - or 18,459 - of unwanted links to web pages following requests from the UK. UK's Ministry of Justice claims that the law "raises unrealistic and unfair expectations"
As part of a transparency report, Google also provided examples of the sorts of requests it had received, along with the search engine's decision. It said it had turned down requests from a UK public official who wanted a link to a student organisation's petition demanding his removal taken down. Google also rejected the request of a former clergyman from the UK who asked for two links to articles about an investigation into sexual abuse accusations about him to be removed. It said a UK "media professional" had requested the removal of four links to articles reporting on "embarrassing content he posted to the internet", a request the search engine also turned down. A doctor had requested more than 50 links to newspaper articles about a botched procedure be removed, it said. Google said "three pages that contained personal information about the doctor but did not mention the procedure have been removed from search results for his name", but "the rest of the links to reports on the incident remain in search results". It said a news summary of a man who was convicted at a magistrates' court had been removed as, under the UK Rehabilitation of Offenders Act, his conviction had been spent. Facebook, with 3,353 links removed across Europe, and YouTube, with 2,392 URLs deleted, were among the sites most affected.